Dylan Redwine's father said he was "blindsided" Thursday by the news that his son's remains were found about 10 miles from his home north of Vallecito Lake. "I cannot wrap my head around it. You can never be prepared for something like this," Mark Redwine said after the LaPlata County Sheriff's Office announced that remains found during a search this week were positively identified as Dylan Redwine's. Redwine, 13, disappeared while spending a court-ordered Thanksgiving week visit with his father last year. Mark Redwine, who fought a long, contentious divorce and custody battle with Dylan's mother, Elaine Redwine, said his focus now is on trying to contact her to make arrangements for the burial of their child. 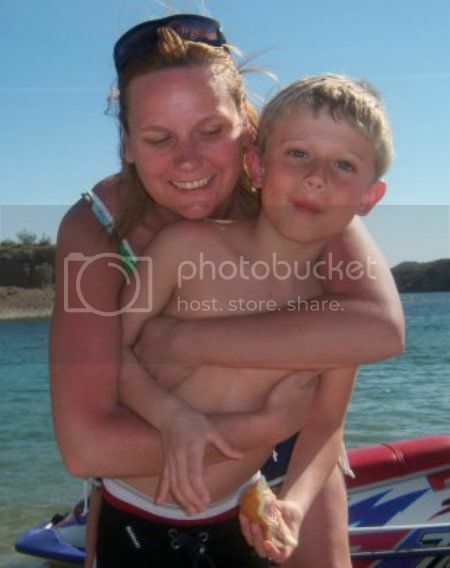 "I am reaching out to his mom so he can have a proper burial. Making sure he gets a proper burial and the respect he deserves is what I have to focus on," he said. Sheriff's Department spokesman Dan Bender announced Thursday that the Colorado Bureau of Investigation positively identified bones as Dylan's on Thursday and notified Dylan's family. The bones and other items Bender would not reveal were found during a five-day search in the Vallecito area along 12 miles of USFS Middle Mountain Road. Bender said Dylan's disappearance is being treated as a criminal matter, and he said the boy's parents are cooperating in the investigation. Middle Mountain Road parallels the road that Mark Redwine lives on, and both roads take off from the north end of Vallecito Lake. The road Redwine lives on has houses, businesses and RV parks on it. Middle Mountain Road runs through rugged backcountry without any development. I bolded the statement above. I would blow his frigging brains out before he had anything to do with my childs burial. Where has his sorry a** been for the last 7 months? He leaves town while they search. Oh I could kill him myself. I have to walk away from the computer now. He should have kept his mouth shut. WEB EXTRA: La Plata County Sheriff on Redwine. 9NEWS.com. 06/27/13. LA PLATA COUNTY, Colo. - The remains of Dylan Redwine have been found. The 13-year-old boy disappeared in November and since then, hundreds of people have spent thousands of hours looking for any sign of him. The boy's bones were found during a recent five-day search of Middle Mountain Road, a search in high, rugged terrain made possible because of the spring snow melt, the La Plata County Sheriff's Office said Thursday. Bender said Dylan’s parents were called to Durango to hear the news Wednesday. Exactly. And this is the type thing he's been doing for seven months. I haven't posted all the things I know he's done. One more way to torment Elaine, twist the knife. That's his M. O. Just interviewed Dylan Redwine's older brother Cory. He still believes his father killed Dylan. 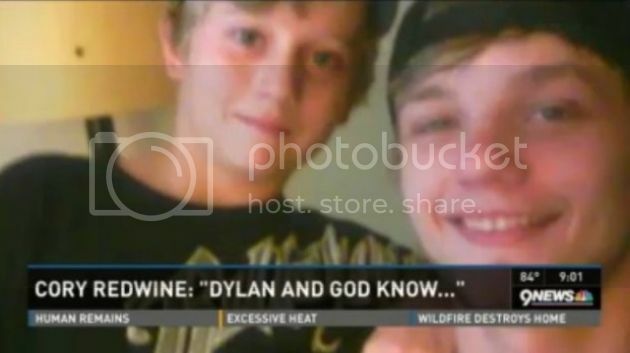 After he received the news, he texted his dad saying, "God and Dylan know". Watch my interview with him tonight on 9NEWS at 9pm/10pm. Cory Redwine told me the focus of hope now shifts to 'Justice for Dylan'. More tonight on 9NEWS at 9pm/10pm. So sad. Rest in Peace, dear Dylan. Thank you, Texasmom, for all of the updates! Not only are you a great researcher but a great advocate for the missing, especially for Dylan! Now the full focus is to see that there is Justice for Dylan--and it will happen! "It's sad you know the animals got to him and there's very little of his remains left and that's what bothers me." The La Plata County Sheriff's office says this was not an accident and not the work of an animal. No suspects have been named, but they were clear: someone did this to Dylan. The last seven months have been filled with accusations. Dylan's mom, Elaine Redwine, and brother suggesting his father, Mark Redwine, had something to hide. Mark Redwine pointing back, saying that talk distracted from the search. Dylan's brother, Corey Redwine, talked to 9NEWS Reporter Kevin Torres Thursday. Dylan considered Corey a best friend. Corey says the family is hanging in there. "They're just filled with emotions as we all are," he said. "It's just been a seven-month battle with waking up, going to bed." "With everything being found and finding his whereabouts now, it's time to get who did this," Corey said. Corey sent a blunt text message to his father after Dylan's body was found. "I sent him a text message saying 'Dylan and God know what happened.' And to whoever was involved, they'll pay the price," he said. "He hasn't responded to me at this time." The La Plata County Sheriff's Office reiterated Thursday that all family members are cooperating in the investigation. Investigators have never named a suspect or a person or interest in the case. 9Wants To Know investigator Melissa Blasius talked with Mark Redwine by phone. "Anyone who has met Dylan loves him and knows what a wonderful child he is," Mark said. Mark Redwine's voice cracked as he described the last pictures taken of his son. "It's my worst nightmare that came true," he said. "All I have on my mind right now is to reach out to Elaine and Corey, figure out what we need to do as his parents to give him a proper burial, because I think he deserves that." 9News also reached out to Elaine Redwine. We've been told she is not doing any interviews at this time. In some ways, it’s a relief that Dylan Redwine’s family can finally find some closure. But in every other way it is heartbreaking and mysterious. Investigators still don’t know how Dylan ended up dead along a mountain road just a few miles from his father’s home. It never feels natural when a child dies, and in Dylan Redwine’s case there are so many questions to ask. Along a dirt road called Middle Mountain Road, searchers found human remains, tested them, then contacted Dylan’s parents to help identify them. “They called me when I was in Indy Tuesday night and said they wanted me and Elaine to identify. I think that was their polite way of notifying the family first,” Mark Redwine, Dylan’s father, said. The remains had been there for the seven months, and Mark Redwine tells us his son’s body was in a terrible state. Dylan’s case is now a homicide investigation, and the sheriff’s department is keeping details tight lipped. While many in Durango have their suspicions, no one has been charged with a crime. VALLECITO — Dylan Redwine's father said he was "blindsided" Thursday by the news that his 13-year-old son's remains were found about 10 miles from his home north of Vallecito Lake. "I cannot wrap my head around it. You can never be prepared for something like this," Mark Redwine said after the La Plata County Sheriff's Office announced that remains found during a search this week were positively identified as Dylan's. The boy disappeared while spending a court-ordered, Thanksgiving-week visit with his father last year. The recovery of their son's remains has not eased any of the parents' suspicion or animosity. They have accused each other of being involved in Dylan's disappearance. Elaine Redwine spotted her ex-husband on a street in Durango after the announcement, rolled down the window of her car and shouted, "Murderer!" he said. The community had held out hope for Dylan's return. The sandy-haired boy's image still peers from fliers and posters taped up in shop windows and stapled to tree trunks and fence posts in the region. At Vallecito Country Market, near Mark Redwine's home, a cashier broke down at the news. "She (the cashier) had been holding out hope. There's a lot of people who had been holding out hope," said store owner Rolland Healy, who kept a flier in the window. As the news spread, customers milled about the grocery, asking him questions in hushed tones. "There's a lot of sadness," he said. "This is the last thing anyone up here wanted to happen." Mark Redwine said investigators told him they had only found four or five of his son's bones and that they would continue searching. He said authorities told him his son was consumed by wildlife. Investigators also found a piece of the boy's shirt, a single sock and his shoestrings but not the backpack or other items he had when he went missing, Redwine said. "Ninety-eight percent of Dylan is scattered about the countryside," said Redwine, his voice trembling in an interview Thursday night. Bender said the Colorado Bureau of Investigation positively identified bones as Dylan's on Thursday and notified Dylan's family. Although tears were shed in Vallecito and nearby communities on Thursday, the news wasn't entirely a shock. Those who work at the Schank House restaurant had been watching search crews in hiking gear venture in and out of the mountain all week. When sheriff's cars — but no firetrucks — came down the road late Wednesday, they sensed a grim development. "Everyone was in anticipation and hoping they'd find something," said Lisa Crombie, who works at the restaurant where Dylan's mother and brother, Cory, dined earlier in the week. Their body language told her something was wrong, Crombie said. Residents plan a candlelight memorial for Dylan at 8:30 p.m. Saturday in nearby Bayfield. I don't really know what to say, I'm furious, sad, and sick all at the same time after reading and listening to his interviews today. I'm just appalled. Dylan deserved to live his life. He was 13 years old! He deserves a proper burial, but he also deserves to not be subjected to this final humiliation by this murdering POS sperm donor. Multiple news outlets he spoke to and the description just gets more graphic and sickening. Not reading anymore or listening to anymore of it tonight. 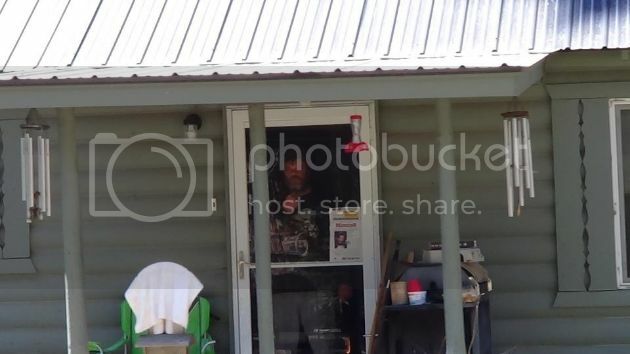 I think of all the times people posted on FB that they'd driven by his house and he was just standing in the door, one day he was standing there in his underwear. Was he standing there looking out at what he'd done? Knowing how hard everyone else was searching for him? Knowing the longer he was out there the better it would be for him? Is this his sadistic celebration media tour, thinking he's getting away with it? No grieving parent could have done what he did today. So very sad, not an unexpected outcome, but it does not make it any more tragic and sad when finally found. Rest in Peace Dylan. The police know that it was no accident, may they get Justice for Dylan. I have been checking here regularly and following sweet Dylan's story for the seven months. Prayers for his family that loved him, those that kept his name ou there and the searchers who looked for him all these months. No prayers for those who did nothing. I hope that charges can be brought to the responsible party before that party bolts or commits suicide. I really wanted to embed this one, but I can't seem to make it work. Authorities say the Dylan Redwine case is now a homicide investigation after his remains were found today. Action Seven news reporter Melissa Colorado spoke to Dylan Redwine's father. Page created in 10.173 seconds with 19 queries.